Martin featured alongside Mark Lockheart on Soprano Saxophone at London's Royal Opera House in Mark-Anthony Turnage's cutting edge opera "Anna Nicole". 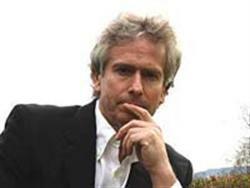 Tony Banks (of Genesis) has written his second orchestral album. The first movement is a 10min work for solo saxophone and orchestra andMartin is featured on Alto Saxophone. The suite has been orcheatrated by Paul Englishby, who also directed the recording sessions which took place in March, in Prague. "Blood on the Floor" in Umea, Sweden, with the Norrlands Symphony Orchestra on the 12th May 2011. Martin Robertson (Saxophone, bass clarinet), John Parricelli (guitar), Laurence Cottle (bass), Ralph Salmins (drums). They will be directed by Rumon Gamba. Mark-Anthony Turnages "Blood on the Floor" has been adapted for ballet by Wayne McGregor.The piece was perfomed in its' new format by the Ensemble Intercontemporain with the Opera National de Paris. John Parricelli, Peter Erskine and Michel Benita will be the other featured soloists.